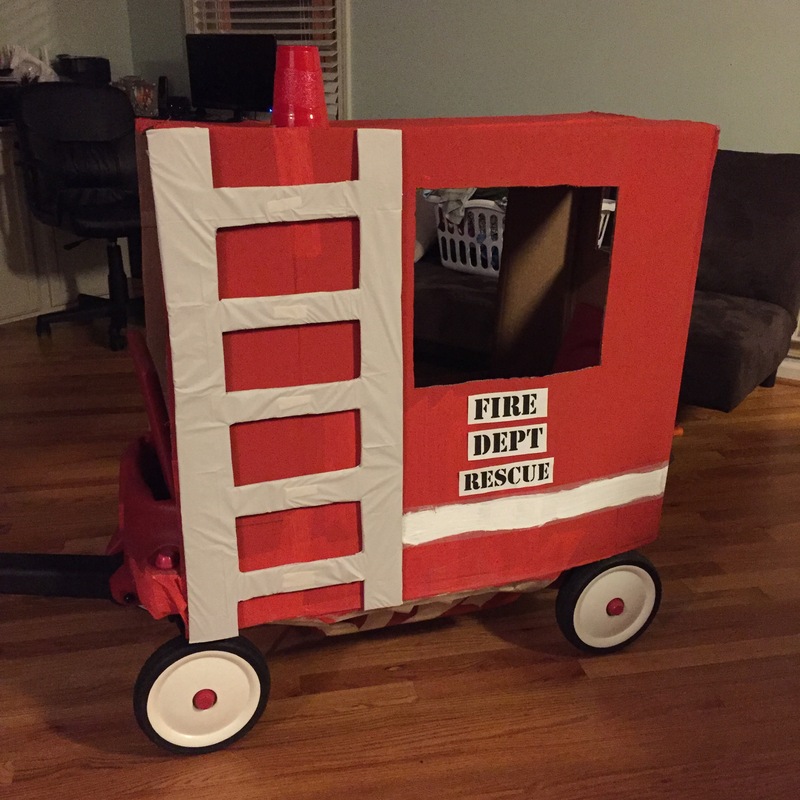 Our son loves fire trucks and decided to be a firefighter for Halloween so I made him a fire truck using our wagon for Trick or Treat. 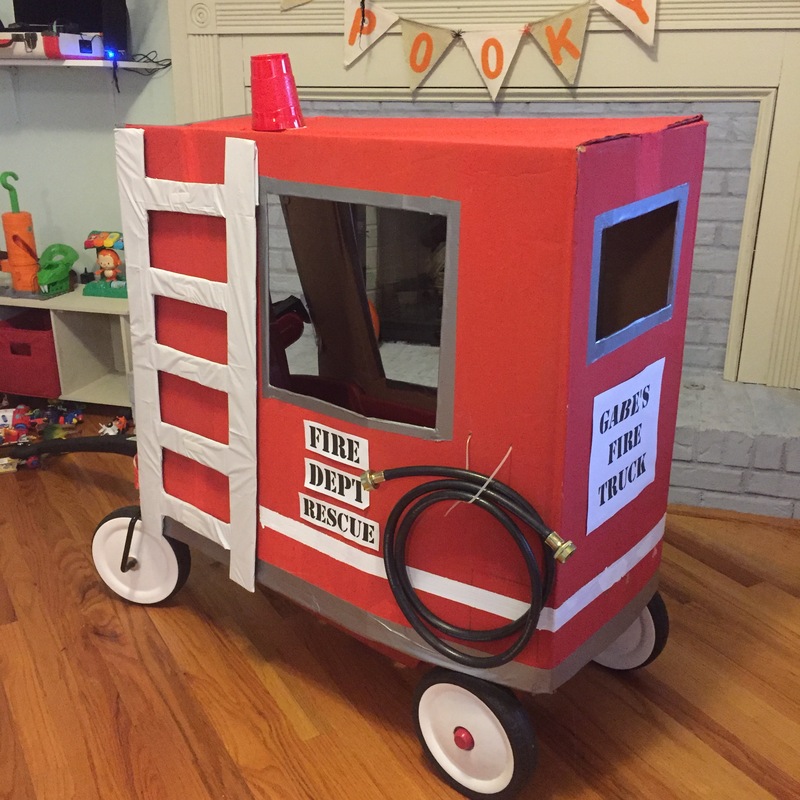 We also added a short hose and a small fire extinguisher to make it more realistic. I made the ladder first using one side of the box. I used scissors for the edges and cutter for the middle part. Then, i wrapped it with a white table cloth and taped the back side with masking tape. 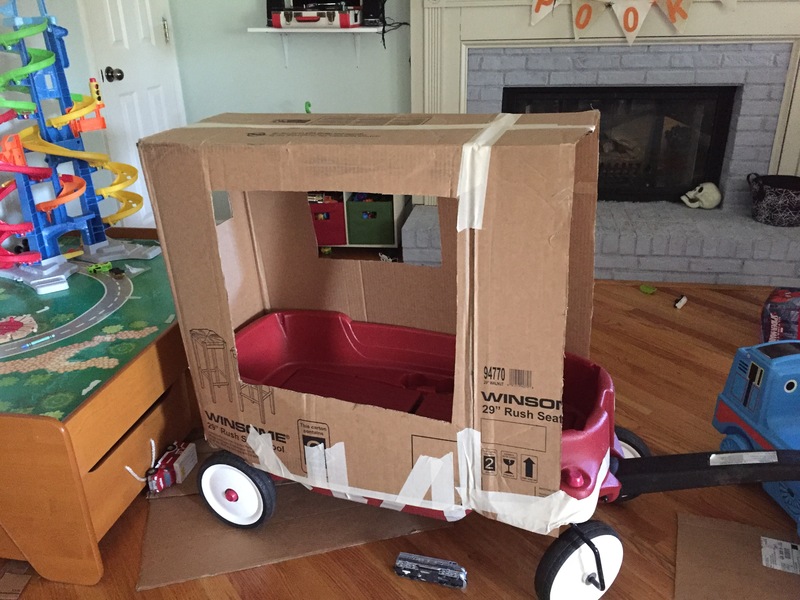 Then using a cutter, I made a window on one side and a door on the other side. 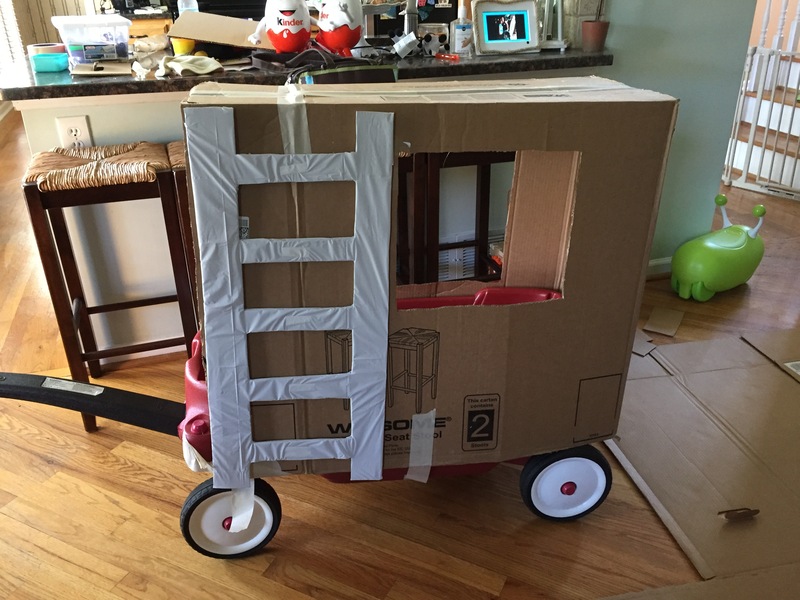 I also added a small window at the back of the wagon so the kids can have a view outside from all the sides. I didn’t really made measurements. I covered all the box prints with masking tape so it’s easier to paint. 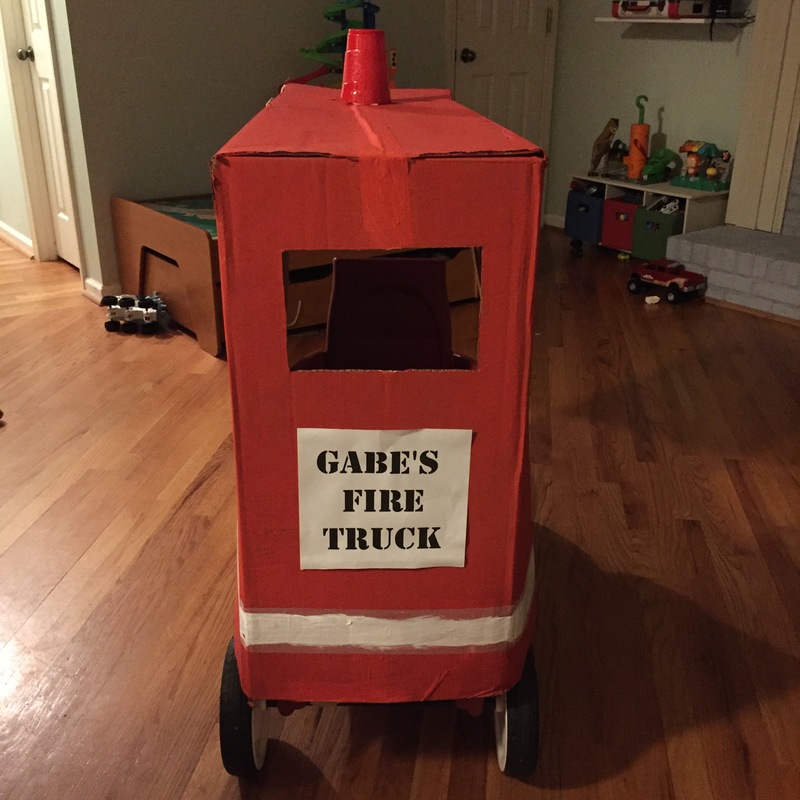 Then I started painting the fire truck red. While it was drying up, I printed some words, added his name and his favorite number. 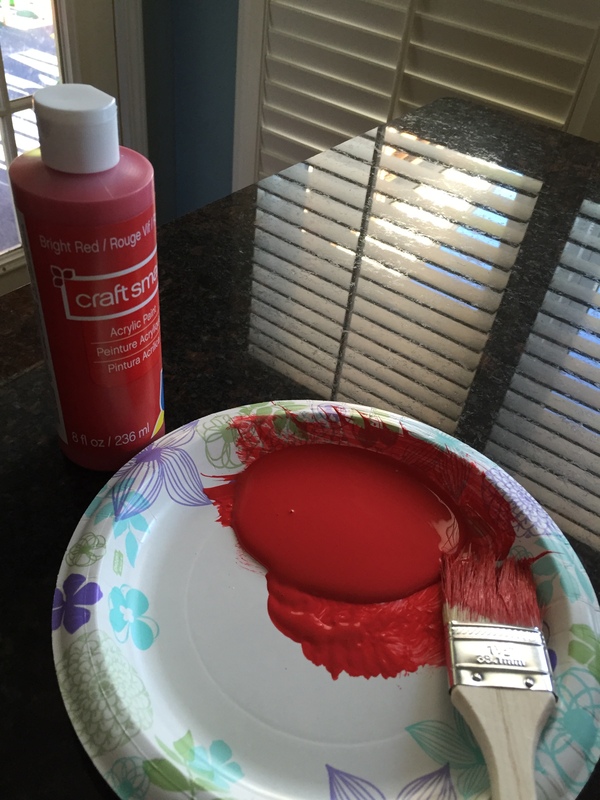 If you don’t want to paint, you can use red construction or felt paper or red table cloth. Then I painted a white line near the bottom of the box. I taped a red plastic cup on top for the siren. 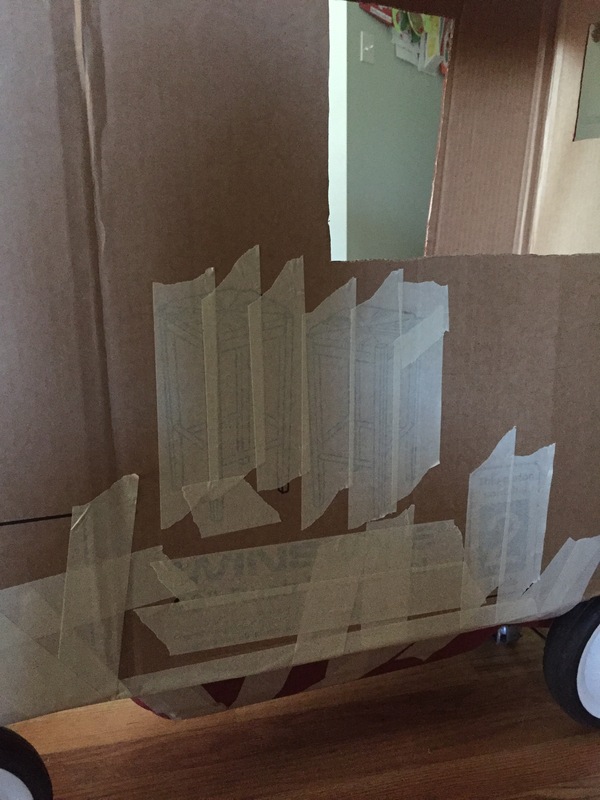 I sealed all the edges with a duck tape so it won’t easily tear apart. 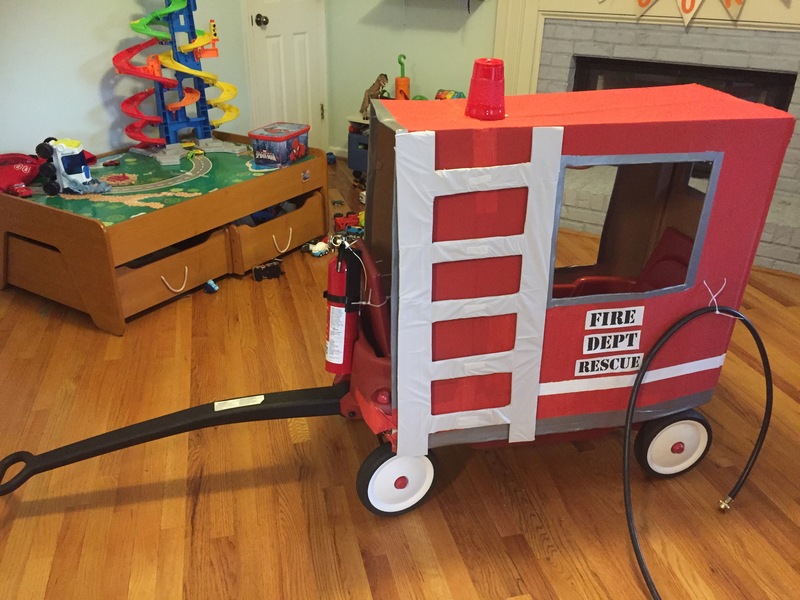 To make it more realistic, we added a short water hose and a real small fire extinguisher. 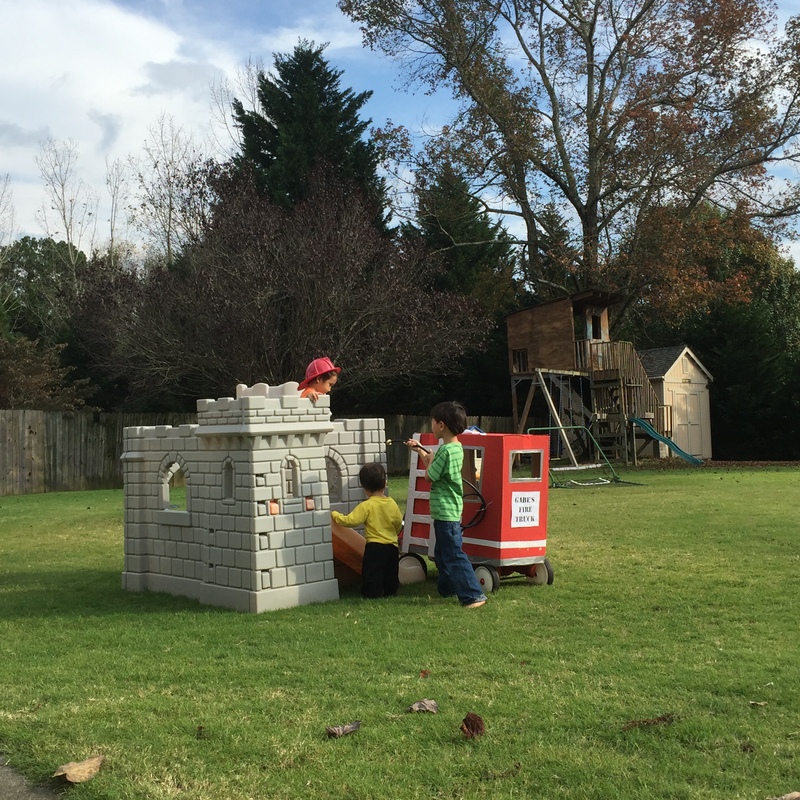 Our firefighter is having a blast with his new firetruck!